Sa bhlian 1984 do tháinig scata tuismitheoirí le chéile i gcathair Chill Chainnigh agus é mar aidhm acu scoil lán-Ghaeilge a bhunú dá bpáistí. Fuaireadar an cead ón Roinn san a dhéanamh, agus thugadar faoí seomraí a fháil ar cíos ón gClub C.L.G. 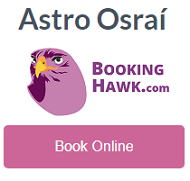 Sheámais Uí Stíofáin ar imeall na cathrach. 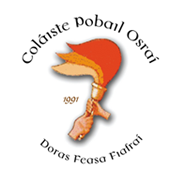 Ar an gceád lá de Mheán Fómhair, 1984 d’oscail Méara na Cathrach doras na scoile chun beirt is fiche dalta agus a múinteoir siúd, Gobnait Ní Choitir, a fhailtiú isteach. Bhí ag éirí go maith leis an scoil agus taréis bliana tháinig a thuilleadh páistí agus fostaíodh an chéad chúntóir, Proinnsiasa Ní Chathasaigh. D’éirigh leis an scoil a suíomh féin a fháil í Loch Buí, áit ina bhfuil sí fós, ‘Fhaid is go rabhadar ag fanacht leis na seomraí réamh-dheánta a bheith réidh don suíomh, chuireadar fúthu i sean-scoil naisiúnta Phádraig Naofa ar shráid Phádraig, ar feadh tréimhse. 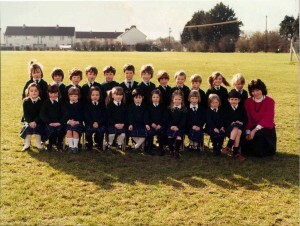 Sa bhlian 1987 ceapadh Míchéal Ó Máirtín mar Príomh Oide ar an nGaelscoil.Tógadh scoil úrnua i 1999 agus de bharr fás na scoile bhí orainn glacadh le tuilleadh seomraí réadmhdhéanta i 2005. Taimid ag súil go mbeidh síneadh buan na scoile ag tosú i 2013. Ceapadh Seán Ó hArgáin ina phríomhoide nuair a d’eirigh Mícheál Ó Máirtín as sa bhlian 2008 agus sa lá atá inniu ann tá dhá oide is fiche agus thart faoi ceithre chéad caoga dalta sa Ghaelscoil. Le himeacht ama tá an Ghaelscoil ag dul í láidreacht agus i méid agus tá ainm na scoile go h-árd i measc an phobail. In 1984 a group of interested parents got together and set up the Irish language school now named Gaelscoil Osraí. They received permission from the Department of Education to do so, and the school commenced its life in a room rented from James Stephen’s GAA Club on the outskirts of Kilkenny City. On the first of September, the Mayor of Kilkenny welcomed the first classes of twenty-two pupils and their teacher, Gobnait Ní Choitir. He officially opened the door of the school on its first day. The school succeeded and grew. After a year had passed, more pupils enrolled and the school’s first assistant, Proinnsiasa Ní Chathasaigh was appointed. The school acuired it’s own site in Loughboy, about a mile from the City centre. The Department provided prefabricated buildings to jouse the school on this site. The school rented St. Patrick’s Boys school as a temporary location while awaiting completion of work on the site. 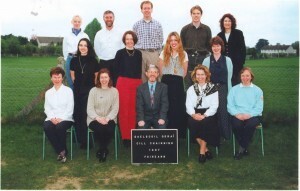 Míchéal Ó Máirtín was appointed Principal of Gaelscoil Osraí in 1987. The school got a brand new building in 1999 which was officially opened by then Minister for Education, Michael Woods TD on 28th. Sept. 2000. Due to the continuing growth of the school, a number of pre-fabs were added from 2005 onwards but it is hoped that a permanent extension to the school will commence in 2013. The ‘Máistir’ Mícheál Ó Máirtín retired in 2008 and was replaced by Seán Ó hArgáin as principal. With the passing of time the school has grown in size and popularity. There are now twenty two teachers and almost four hundred and fifty pupils in the school. The school has achieved greatly in promoting a love and respect for the Irish language and indeed all areas of Irish culture, as well as providing a high standard of education.